Great reading while you enjoy your pot of tea! 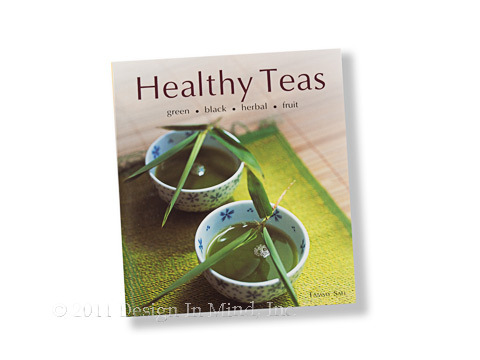 Healthy Teas by Tammy Safi. With Healthy Teas you'll discover delicious, simple, and natural ways to enhance your health and vitality. Inside are more than 80 recipes using everything from unfermented green teas and fermented black teas to herbal and fruit infusions. Discover springtime tonics that fight allergies, immune system-boosting teas, teas that detoxify and cleanse, and simple morning pick-me-ups - or create your own relaxing teas for stress relief and calming sleep. 8 1/2" x 9 3/4", 112 pages, hardcover. 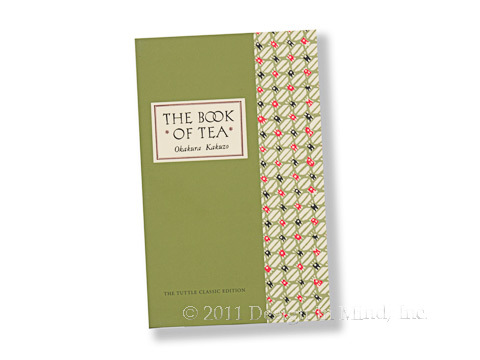 The Book of Tea by Okakura Kakuzo. A Tuttle Classic Edition. First published in 1906. The Book of Tea masterfully blends a history of tea and the Japanese ceremony with descriptions of Taoism and Zen, flower arranging, architecture and art appreciation. The result is an eloquent treatise of tea and the aesthetics of Japan. Chapter titles include: the cup of humanity, the schools of tea, Taoism and Zennism, the tea-room, art appreciation, flowers and tea-masters. 4 3/4" x 7 1/2", 133 pages, hardcover inside hardcover slip case. 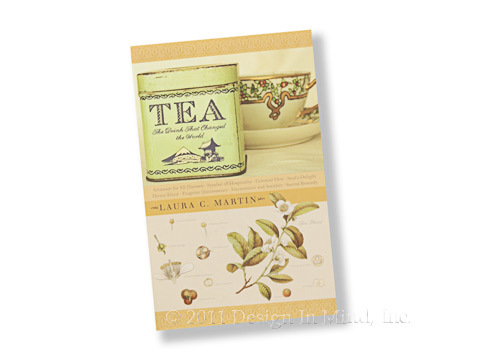 TEA The Drink That Changed the World by Laura C. Martin. It's been used as a medicine and a meditation tool; as money and as a motivation for war. How has this simple beverage made such a profound impact on our world...whether we drink it or not? This book offers us fascinating and unexpected answers. By exploring and explaining the spread of tea throughout Asia and the world, TEA illuminates its intricate compelling history. 5 1/2" x 8 1/4", 247 pages, hardcover. 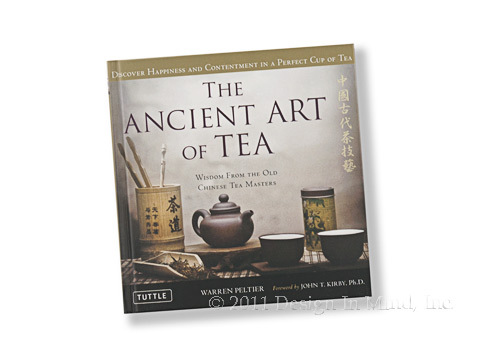 The ANCIENT ART of TEA by Warren Peltier - Wisdom from the old Chinese tea masters. Fine tea leaves and elegant utensils are only two of the elements to enjoy a fine cup of tea. 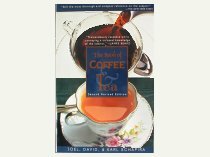 This book contains vital information to assist tea drinkers in their quest for the perfect cup of tea. Chapter titles include: the art of tea, water for tea, preparing fire for tea, the taste of tea, tea etiquette and refinement in tea. 6 1/4" x 6 1/4", 160 pages, hardcover. 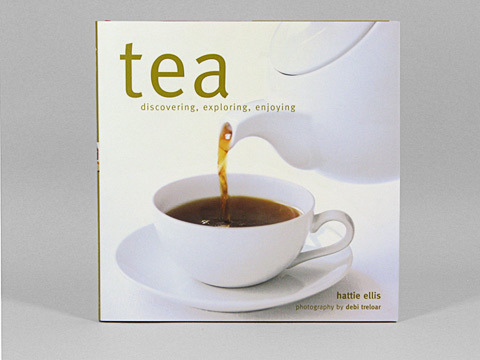 by Hattie Ellis - A good primer on tea, including the history, kinds of tea, the growing regions, and traditions. Many photographs. 64 pages, hardcover. A comprehensive guide to both coffee and tea from farming through enjoying. This book was last updated in 1995, so some of the information regarding countries and governmental agencies is somewhat out of date (ie: the US Tea Board no longer exists), but the information on teas and coffees is excellent. Pen and ink illustrations only. 314 pages, softcover.